October is National Adopt a Dog Month. Pet adoption is a widely covered topic, but some people still shy away from adoption when looking for a new pet, especially dogs. There are more than 3.9 million dogs entering shelters every year in the United States. Many of these pets are adoptable, loving, companions, who never find a forever home. In light of National Adopt a Dog Month I wanted to give you some tips on how to find shelters and adoptable pets in your area. If you are currently looking to add a dog to your family adoption is a great option that I hope you will consider. Many pet owners who love their pets but are unable to keep them will reach out through newspapers both in print and online, to find their loved ones a new forever home! This is a great option because pet owners who are willing to go out of their way to make a listing are more likely to be owners of pets who are up to date on their shots, vet checked, and already used to being part of a loving home. Facebook is becoming more popular as a place to find both shelters and adoptable dogs. Many shelters have their own groups and update it frequently with pictures and fun facts about their dogs. Breed-specific groups can tell you about adoption events all over the country for your favorite breed. Even plain old “we love dogs” type groups are excellent sources of information. They’re often filled with volunteers for shelters and other rescue groups. It is always important to be careful when looking for anything online, but Craigslist can be a great resource if you are looking to provide a dog that truly needs one, a loving home. Many times pet owners reach out on sites like Craigslist as a last grasp before turning their pets over to shelters. These are dogs who desperately need a good home and quickly! Always ask for vet references and medical records for dogs you are looking to adopt, it can save you from heartache and stress down the road. If you are considering adopting a dog from a shelter or foster care program, Petfinder is a fantastic resource for locating local, adoptable, dogs. They have many ways to search, narrow results, and specify what type of dog you are looking for. The nice thing about Petfinder is that it can also show you pets that are currently in foster care homes. Dogs in foster care programs are generally well socialized and ready for placement into a forever home. Petfinder is a great resource because it does not require you to actually locate a specific shelter. It includes results from all shelters in your local area and pulls them into one place so you can easily browse through the dogs available for your consideration. 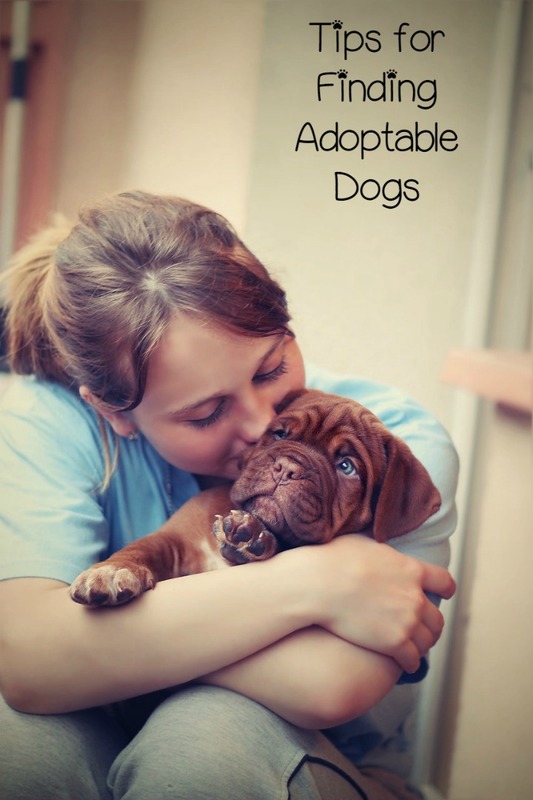 In honor of National Adopt a Dog Month I hope you can use these tips when considering a new furry addition to your family.